We all know that relationships matter in the industry and that there are countless benefits to being a part of professional associations. What many don't realize, however, is that there is a much bigger ROI when you take on a leadership role. When I first entered the event industry 15 years ago, I was eager to join the local wedding association, but quickly realized the benefits started to kick in once I dedicated even just a few hours a month to a leadership position. How do you take the first steps? 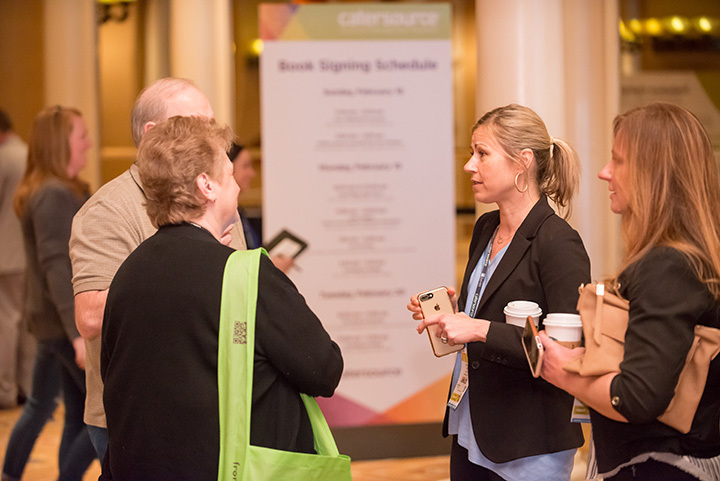 Networking can happen anywhere but industry gatherings such as Catersource 2019 are a goldmine of opportunity. While some organizations are constantly asking for volunteers to fill important roles, others are more competitive, with highly-coveted positions requiring more than just a raised hand to secure. How do you get your foot in the door? As with most associations, leaders particularly excel when they have a true understanding of the ins and outs of the group. Your first steps should be focused on fully immersing yourself in the group, as well as seeking out initial opportunities to get a feel for opportunities. Dennis feels that his leadership roles have helped him develop his network and professional friendships. “I’ve grown close relationships with these people so I know I have a squad I can call if I ever need help or advice,” observes Dennis. “It’s also helped us grow monetarily and we’ve added many clients as well! Depending on your position and the committee members around you, a leadership position can put a big demand on your time. Dennis suggests scheduling time every week to work on board tasks and making sure you have surrounded yourself with a great team who can support you. Prior to stepping into the leadership role, it’s essential to sit down and do an audit of your current workload and determine if there are any pain points that can be solved with technology or through delegation to another person. There are many reasons event professionals join association boards—from national networking opportunities to creating new and powerful industry relationships beyond your own backyard. As important as it is to determine how this new role fits with your ongoing goals, it is equally important to do an ongoing self-audit to ensure the time you are spending as a leader is not only productive, but creating the benefits necessary for you to continue. • How much time am I spending a week on my board responsibilities? • Has this work affected my day-to-day responsibilities with my job/business? • What positives have occurred as a result of this role? • What are my current goals and do they continue to be in line with the work I’m doing on the board in part? A number of industry associations will have annual board meetings at Catersource 2019. What a great way to rub elbows with those who can advise you on your path! Click here for the latest information. Registration opens mid-September!